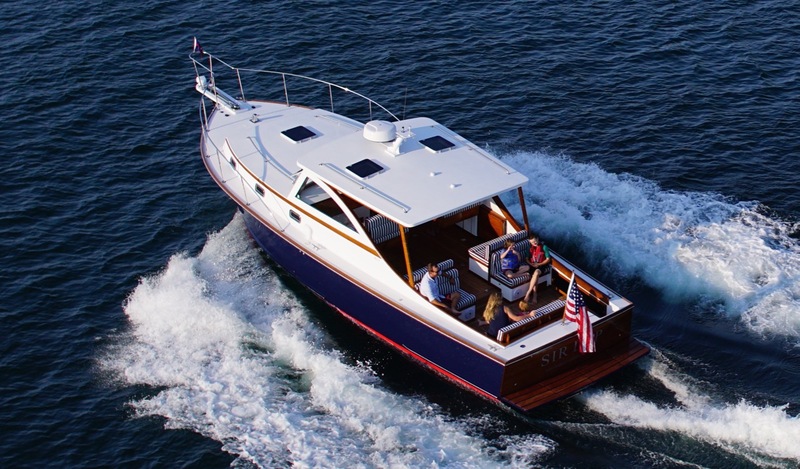 Everything that 40 feet of Ellis Boat should be – classic, sturdy, functional, beautiful, and built with Ellis pride – and currently for sale. This Ellis Boat includes: A generator, heat & air, separate shower, freezer, ice maker, fridge, 3-burner cooktop, oven, teak floors throughout, expansive seating and large-party dining setup with fold-out tables and Ellis Cantilevered Helm & Nav seating, Garmin electronics, shore power, Evolution Driveshaft System, bow thruster, 530 hp Yanmar diesel engine with a skeg-protected 5-blade prop and rudder. Visit Ellis Boat Company in Southwest Harbor to see this amazing vessel in person. This entry was posted in Ellis Brokerage News, Update to Current Listing on 01/23/2019 by Shane Ellis.